Evan Van Gilson as a young boy has always been fascinated by fast and loud vehicles. His first experience with helicopters was around the age of six years old when the New Jersey State Police landed in the parking lot of his mothers work for a community event. He remembers saying “This thing is awesome!” In high school he began searching eBay for experimental helicopters joking about how one day he was going to buy one, with the money he didn’t have, and learn how to fly it. As many young adults, when Evan graduated High School he went straight into the work force which instead of flying, he went into the law enforcement industry. About 6 years later, Evan got his second experience with the N.J. State Police helicopter, but this time he actually got to fly in it. Evan stared out of the window and pointed out all of the areas he recognized! He felt like he was in a different world and he LOVED IT! Evan told everyone about it and finally started taking lessons in helicopters. It was a tough career move to make, but in his mind he kept saying “It’s now or never.” He decided to follow his dream and fulfill his love for flying which has since lead Evan to great places, people and experiences. And now it has lead Evan to you, the person reading this! Evan has worked for 8 different helicopter companies in which 3 he is still working for. Evan currently flies aircrafts that have just 2 seats to some that seat 10 in both Helicopters and Airplanes. 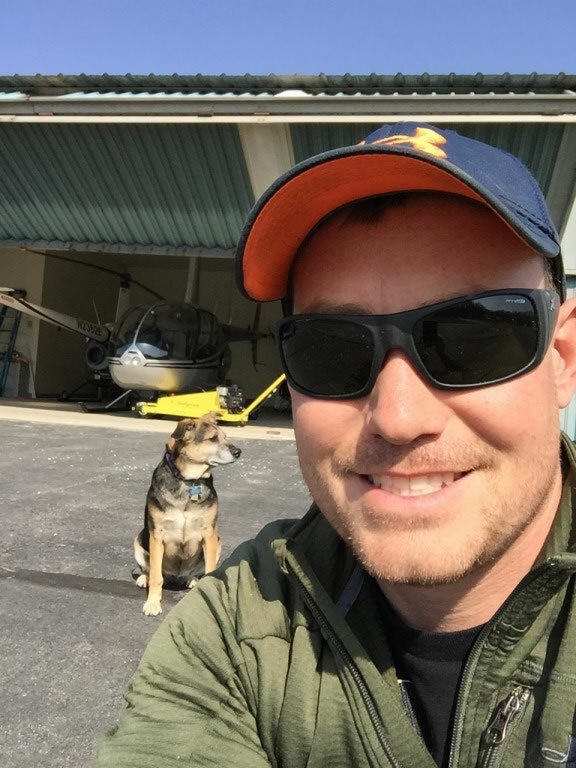 Evan has held positions for 135 Charter Captain and Company Check Airman, as well as Captain Positions for Privately owned aircrafts that he is part of managing. Jeff MacKenzie growing up was always interested in helicopters, but the thought of actually becoming a pilot seemed far-fetched. It wasn’t until his then-girlfriend, now-wife surprised him with an introductory demo flight that he realized it was a career that was actually attainable. He loved the flight, but the instructor he flew with was negative about the career field, causing him to reconsider taking the leap into becoming a pilot. 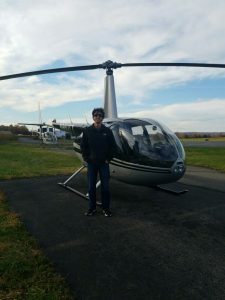 Eventually, Jeff would go on to try other schools in the state until he found his home at Platinum Helicopters, where he would complete a majority of his training and begin his career as a professional pilot. He loves the places aviation has taken him, whether it’s navigating the NYC skyline or buzzing down Jersey coastline. Jeff has found that the only thing better than the view is providing people with unforgettable experiences. Dalton O’Rourke had his first thought of flight at the age of seven. While fishing with his Dad at Island Beach State Park, Dalton heard a small buzzing sound in the distance. He turned around to see a Robinson R-22 flying just feet off the ground. The pilot waved and smiled. Ever since that day, he knew what he wanted to pursue as a career. After years of watching videos and looking up photos of helicopters, his parents surprised him with an introductory helicopter lesson. He was hooked! Fast forward to senior year of high school, sitting in his guidance counselors office, she asked what his plans were for after High School. Of course, the answer was, “I’m going to be a helicopter pilot”. The guidance counselor laughed and said he would never be able to do that, and should begin looking into the trade industry. With his dreams crushed, he took the advice and began researching the trade industry. 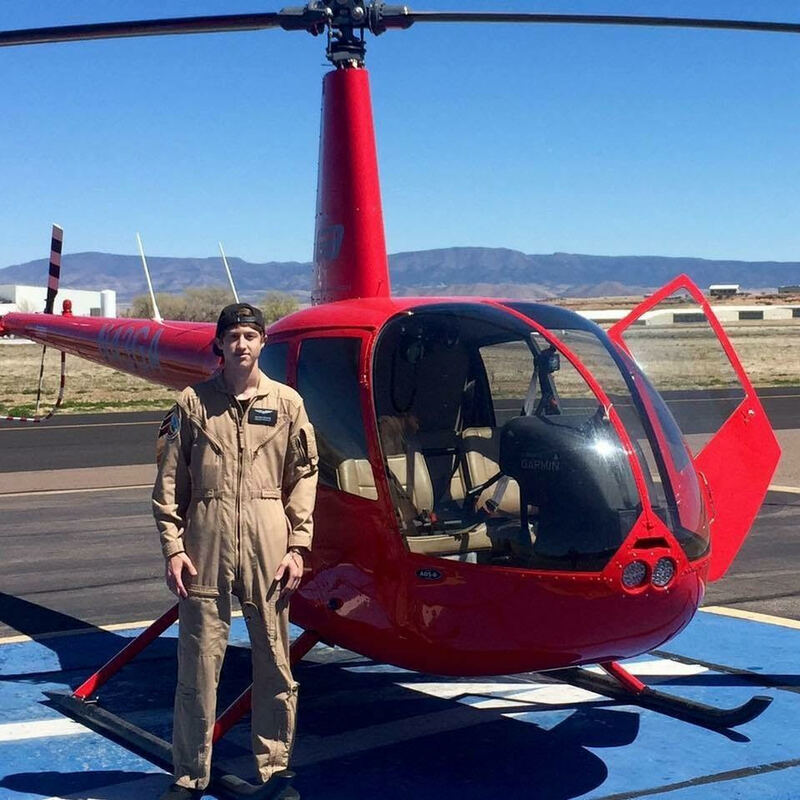 While researching, an advertisement came up for Embry-Riddle Aeronautical University and their helicopter program, he decided to give it a shot and apply. Next thing Dalton knew, he was starting his flight training in the R-22, in the mountains of Prescott, Arizona. While finishing his degree in Aeronautical Science, and gaining his Privates and Instrument Rating, Dalton decided NYC was the place he wanted to fly. After trying multiple flight schools, Platinum Helicopters became his home, where he completed his Commercial, CFI, CFI-I. Eager to work, he began flying NYC tours and photo flights in and around NYC. It’s never work if you love what you’re doing!